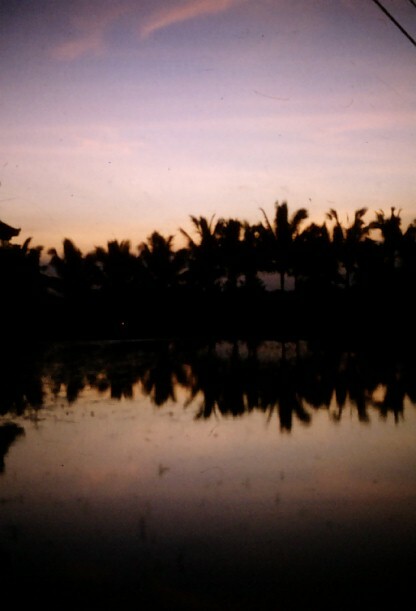 This was our last day in Ubud before leaving on a two-day trip to the north coast of Bali. We did a lot of shopping in the mornnig, going down to Ubud market, buying Balinese umbrellas and lots of gifts for friends back home. 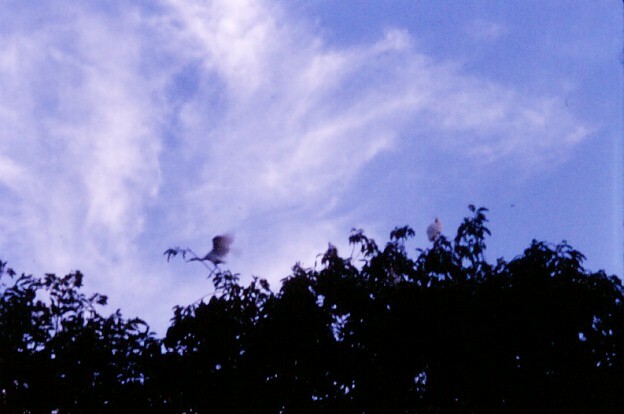 In the late afternoon, around 5:30, we drove out to the village of Petelu, where there is a white heron sanctuary, and where the herons come home to roost at the end of each day. 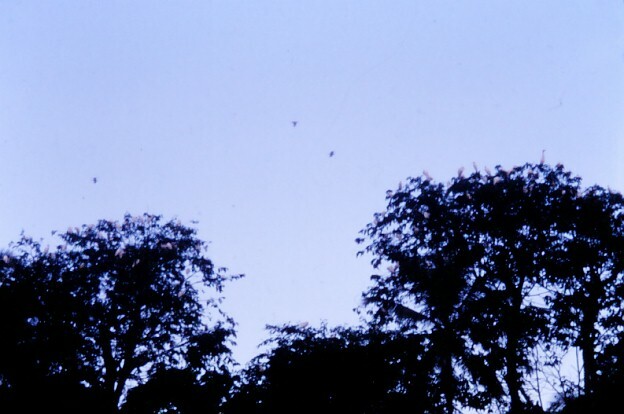 You'll have to click on these images to see the birds - they are kind of small on the thumbnails. It's a small, rather scruffy village, but the birds are beautiful, wheeling in and landing on the treetops, until there seemed to be hundreds filling every branch. It's quite a remarkable sight.